Did you know church membership is on the decline nation-wide? As a church, you have to get creative to increase membership. No matter how passionate your sermon is or how many unique unity ceremonies you offer, you can’t neglect marketing yourself. One of the best ways to do that is through your church website. Not sure where to start? We’ve got five key ideas from the best church websites to fire up your engine! Have you ever visited a website for a product or an event and details were few and far between? After several clicks all over the site, you probably closed the window in frustration. In fact, 87% of people rank user experience as one of the most important website features. 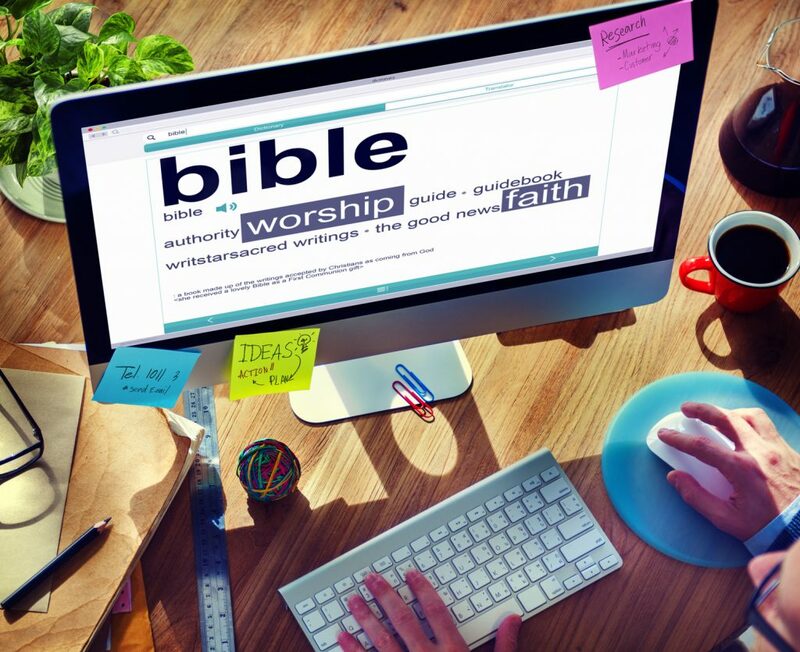 The best church websites always consider the user experience and you should, too. How do you keep the user’s experience in mind when building your site? Try to think of the things you usually look for when you’re online. Address, hours, and methods of contact, like phone number and email, are a no-brainer. Install a Google maps widget so people can see both directions and street view. For example, add your staff’s names, pictures, and title. If someone wants to know about choir practice or where to send donations, they can find the right person instead of blinding sending an email out to anyone. Cover your basics and make it easy for those who visit your site to find the information they need. It sounds like common sense – and it is! – but too many people forget about these crucial steps. This is key for attracting new worshipers – make your statement of beliefs clear and easy to find on your website. Why is this a key component of the best church websites? Because this is where you outline what you’re all about! Is your church non-denominational? What’s the major doctrine you follow? A Baptist church in Iowa might not be the same as a Baptist church in Texas. For potential congregants who are new to the area and are looking for a new place to worship, this helps clarify any questions they have. You never know – you might pick up a few locals, too. If your church’s name doesn’t clearly list your denomination, a statement of belief on the website will help clear any doubts. Does your church have a Facebook page or a Twitter? Sure, it takes a bit more effort to keep it up, but it’s worth it. Besides telling your followers how to find you online during a sermon, you should add social media buttons to your website. Don’t have social media? What are you waiting for? Social media isn’t the wave of the future – it’s the present and beyond. Sure, it can be a bit frustrating to have to constantly keep up with it. Once you find inspiration, though, you’ll get into the flow. Plus, there are tons of great tools to help you manage your profiles, including creating graphics and scheduling posts. The best church websites know to include social media – take this important tip and run with it! This really deserves its own section. If you can get people interested in your church but they don’t know when to show up, then you’ll be right back where you started. Make your calendar easy to find and simple to understand. You can even have fun with it – decorating it with red and yellow leaves for the fall months, for example. Another item to add to the calendar? Office hours! If you have a set time that people can contact you with general questions, make sure to put that on the calendar. The best church websites know that to keep their site looking fresh, they update it with relevant news. Update is a key word here: you’ll lose a visitor to your site if the last update you did was in 2013! Listing church news doesn’t have to be a major undertaking. If there’s something important your congregants need to know, add it to your news bulletin. As with social media, once you get going, you’ll continuously find things to talk about. Feeling stumped? Ask your staff – you might discover one of them has a passion for managing the news feed! Even your congregants can be a great source of news for your site. Think You’ve Learned Everything from the Best Church Websites? Find a photographer – A few professional photos can go a long way. It might not even be expensive – ask a congregant with a passion for photography or hire a university student that’s building a portfolio! Info about your Youth Services – Make an extra page with details about your Sunday school, youth groups, and other kids’ activities. These web design tips are going to catapult you from basic to beyond. Once you’ve got the main areas covered, add on the bonus tips. It’s going to take effort on your part but it will be so worth it! Get creative, put in some elbow grease and make the changes today to see a big difference tomorrow!